The Second National Judicial Pay Commission (SNJPC) for the subordinate judiciary in the country has submitted its interim report to the Supreme Court, suggesting that an interim relief of a 30% increase in basic pay along with accrued increments be paid to Judicial Officers of all categories. With this recommendation, Judicial Officers in most States would be entitled to arrears of Rs. 2 lakhs to 5 lakhs. The said increase would, however, be treated as a separate component and no D.A. would be payable on it. "After considering the pros and cons and keeping in view the fact that Commission will soon come forward with the final report related to pay, allowances and pension (in all probability, within the next four or five months time), the Commission feels that the percentage of interim relief specified above is fair and appropriate. Further, any high percentage of increase in pay as an interim measure is not done as per normal practice and it is desirable and prudent to have sufficient cushion for the future fixation, on taking a final view." It, however, clarified that the differential pay so paid to the Judicial Officers would be subject to the orders of the Supreme Court, and would be adjusted against the ultimate pay hike recommended in the final report of the Commission. 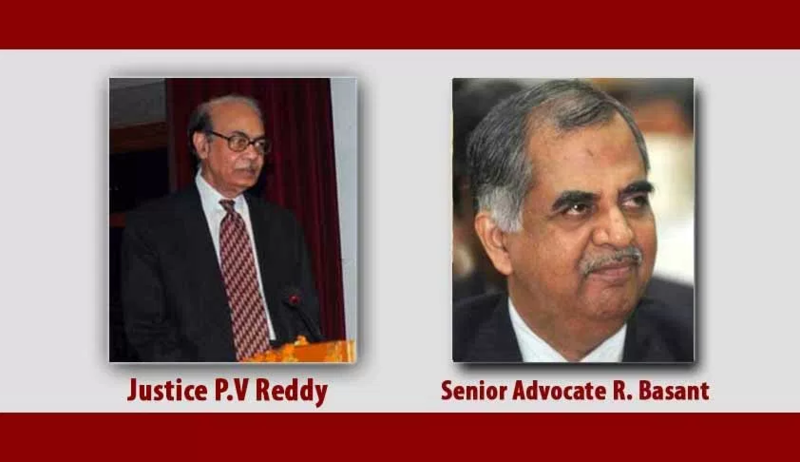 It further stated that in case Judicial Officers in any State are entitled to more benefits by virtue of the seventh Central Pay Commission report, they shall not be asked to forego the benefit if it is more advantageous to them. In other words, the option would be left to the concerned officers to opt for the benefits. The Commission further recommended that the interim relief should be extended to pensioners and family pensioners as well and that their pension shall be proportionately revised. The Supreme Court had, in May, 2017, constituted the Commission to examine the pay structure and other conditions of Judicial Officers belonging to the sub-ordinate judiciary throughout the country. The Centre had then issued the notification in November last year, appointing the Commission. As per the interim report, the Commission addressed letters to the High Courts in August/ September 2017, seeking information on pay, allowances and pensionary benefits. It also sought the assistance of experts who have had experience with pay revision aspects of Government servants. Information on the prevalent pay scales and periodicity of revisions was also received from States and Union Territories. It further stated that even though a Consultation Paper on the issue has been prepared partly, its release was initially postponed in view of the pendency of the High Court and Supreme Court Judges (Salaries and Conditions of Service) Amendment Act, 2018 (which was enacted in December), and later, in view of the lack of infrastructural/logistic support. It then decided to release an interim report instead. While most representations received by it on the aspect of interim relief sought a revised pay as per a set formula, the Commission did not consider the approach appropriate. It stated, "Though these suggestions will be kept in view and given earnest consideration while preparing the Final Report, the Commission feels that for the purpose of recommending interim relief as an ad hoc measure, it is not advisable to do the exercise of pay fixation straightaway even before eliciting the views of the stakeholders, especially the State Governments, who have to bear the ultimate financial burden. The pay fixation/fitment into appropriate pay scales with incremental stages is not a mechanical exercise, following a particular percentage corresponding to the increase in High Court Judges’ salaries." The Commission then suggested a 30% increase and assured that the final report would be submitted within four or five months.